Double Study Table are one of the well tested, capable and efficient ranges of our firm procurable at the best of market price from our premises. 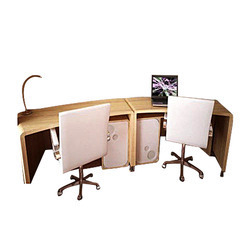 We are the leading manufacturers & suppliers of Study Desk. We are an eminent name, engaged in exporting and supplying a unique range of Multi- Purpose Foldable Wood Children Study Table to our honorable clients. The offered range of study table is procured from some authentic vendors of the market and is also examined on various quality parameters to ensure its sturdiness and quality. Our company offers Wooden Study Table products which are highly tested end to end by our adamant and highly deft staff of professionals who possess full working proficiency in this arena. Size: 29'' x 18'' x 11'' inch.